FERC Approves FAC Standards - November 6 - FERC issued a letter order approving proposed standards FAC-001-2, governing facility interconnection requirements, and FAC-002-2, regarding facility interconnection studies. The standards eliminate redundancies from the existing versions, and require transmission and generation owners to document and make available interconnection requirements, as well as requiring interconnection coordination studies (FAC-001-2), and studying reliability impacts of interconnecting new or modified systems (FAC-002-2). The standards will be effective on January 1, 2016. FERC Approves Proposed Reliability Standard NUC-001-3 by Delegated Letter Order - November 4 - FERC approved proposed reliability standard NUC-001-3, which deals with Nuclear Plan Interface Coordination, by delegated letter order. In doing so, FERC also approved NERC's proposed implementation plan, violation risk factors, and violation security levels. NUC-001-3 replaces the prior version of the standard and implements the five-year review team's recommendations for revising the prior standard. NERC's filing was uncontested. FERC Issues Letter Order Approving Revised 2015 Peak Reliability Business Plan - October 28 - FERC issued a letter order approving NERC revisions to the 2015 Peak Reliability, Inc. Business Plan and Budget indicating that the Balancing Authority Area of the British Columbia Hydro and Power Authority will remain a part of the Peak Reliability Coordination Area. NERC Releases Review of Potential Reliability Impacts of EPA’s Clean Power Plan – November 5 - NERC released an Initial Reliability Review of EPA’s Proposed Clean Power Plan, in which it examines the assumptions made in the proposed rule, identifies potential reliability impacts, and makes recommendations to address these impacts. While the report does not constitute a conclusive reliability assessment, it does identify multiple reliability challenges posed by the Clean Power Plan, including the integration of generation resources that have different Essential Reliability Service characteristics than retiring units and the difficulty of maintaining reliability while developing suitable replacement generation resources and transmission enhancements in a constrained implementation time period. EPA staff quickly took issue with some of the assumptions in the report. NERC plans to develop a more comprehensive reliability assessment in advance of EPA finalizing its proposed rule. NERC Submits Informational Filing on Reliability Assurance Initiative - November 3 - NERC submitted to FERC an informational filing describing the various processes and programs developed and deployed through the NERC's Reliability Assurance Initiative. NERC Penalty Activity - October 30 - NERC filed with FERC six separately docketed penalty proceedings totaling $448,000 in penalties, as well as a spreadsheet notice of penalty detailing 21 violations of 12 standards by 7 entities. NERC Files Errata to Petition for Approval of Amendments to Regional Reliability Standards Development Procedure of the NPCC – October 28 - NERC filed an errata to its Petition for Approval of Amendments to Regional Reliability Standards Development Procedure of the Northeast Power Coordinating Council, Inc. The errata notes that the prior filing contained an improper version of a redline of the Regional Standards Process Manual. As a result, NERC has corrected and refilled the manual to reflect the actual, proposed changes. NERC Provides Update on CRISP Program Implementation – October 28 – NERC provided FERC with an update regarding the status of CRISP Program implementation. According to update, the final 2015 CRISP program budget has been reduced by $3.4 million. In addition, the update notes that NERC has executed Master Agreements with 15 utilities, executed a related agreement with Battelle Memorial Institute, and begun the process of securing 2015 funding by utility participants. DOE Awards Contract in Support of CRISP – November 6 – DOE awarded a $1.9 million contract to Norse Corporation, which will provide live threat intelligence solutions in support of DOE’s Cybsersecurity Risk Information Sharing Program (CRISP). DOE Office of Inspector General Issues Report on FERC's Unclassified Cybersecurity Program – November 3 - The U.S. Department of Energy released a report evaluating FERC's Unclassified Cybersecurity Program. The report notes that FERC has taken positive action to improve cybersecurity and mitigate risks. 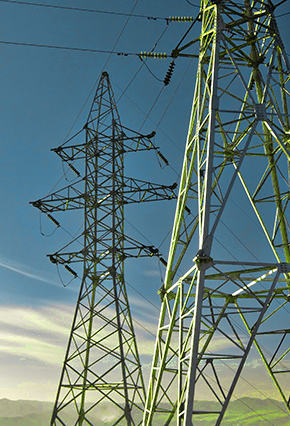 The report specifically highlighted FERC's improvements to its security path management and vulnerability management program, which improvements addressed weaknesses previously identified by DOE. Peak Reliability Issues Draft CIP Guideline - November 5 - Peak Reliabilty issued a draft guideline which aims to provide a common methodology for performing risk assessments associated with NERC standard CIP-014-1, R1. The purpose of the guideline is to assist Transmission Owners in the Western Interconnection in meeting requirements for studies performed on applicable substations or switching stations in order to comply with CIP-014-1 R1. Comments on the draft guideline are due November 19. Regional Entities Announce Implementation of Regional Consistency Reporting Tool - November 5 - The eight Regional Entities have announced their adoption of a Regional Consistency Reporting Tool. As indicated in MRO's announcement, this tool was created as a way to assist the Regional Entities in their efforts to improve consistency amongst the various Regional Entities. In particular, the tool allows industry participants to report inconsistencies between two or more regions, including inconsistencies in processes, procedures, or rules. Once a report is received, a Regional Entity will review and confer with other Regional Entities in hopes of resolving the inconsistency. WECC Releases 2014 Operational Practices Survey Report - October 28 - WECC released its third annual report detailing findings from its Operational Practices Survey. The voluntary survey allows regulated entities to report activity with practices such as seasonal, next-day, and operational studies, highlights best practices and areas of concern, and evaluates usage of available WECC and Peak Reliability data and tools. DOE OIG Issues IT Audit - October 30 - The Department of Energy's (DOE) Office of Inspector General (OIG) issued an audit report entitled "Follow-up on the Department of Energy's Management of Information Technology Hardware." The report found weaknesses in DOE's governance of IT hardware and that DOE spent $2 million more than necessary in 2012 as a result.